A silent auction at SeQuel’s new headquarters Thursday night raised over $6,000 for Habitat for Humanity. The nonprofit builds affordable housing for families around the globe who are facing poverty, war, civil unrest, natural disaster, etc. Over one million people each year volunteer to help build and repair homes under Habitat’s trained supervision. Over 170 guests–mostly SeQuel employees’ family members, friends, vendors and other business partners–bid on 41 auction items that were donated or procured by SeQuel employees. SeQuel’s new headquarters, which is a little over one mile from the direct marketing agency’s previous home in Eden Prairie, Minn., had ample room to host the crowd. 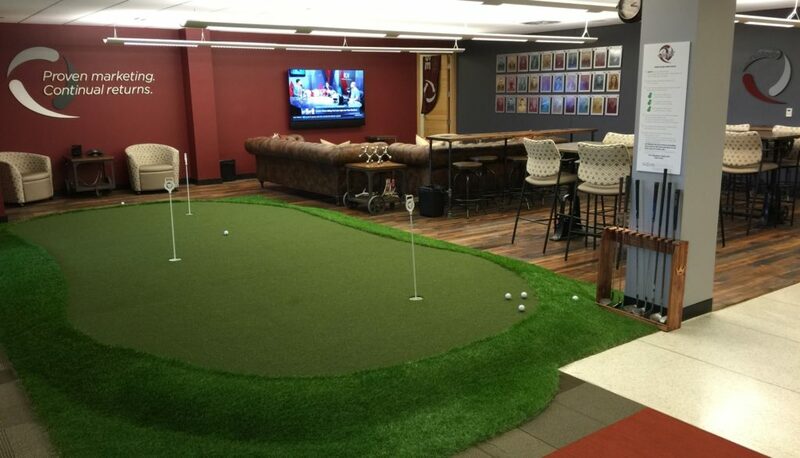 The 13,000 square-foot space features 13 offices, 29 cubicles, and even a sloped putting green, which played host to a putting contest that raised additional money for Habitat. Want to volunteer with Habitat for Humanity?